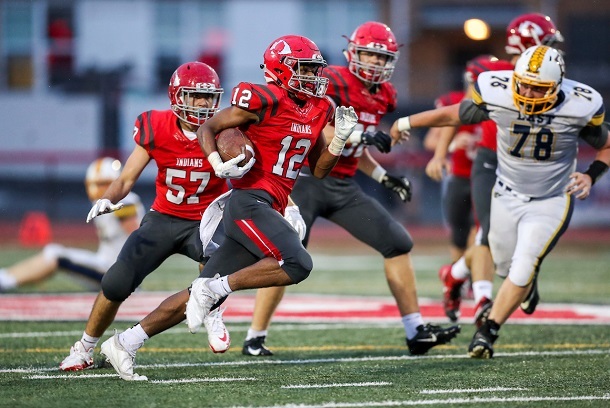 The first edition of the West Virginia Secondary Schools Activities Commission’s (WVSSAC) football ratings were released on Tuesday and, at least for the top three Class AA teams in the state, things pretty much mirrored the MetroNews poll that is voted on by radio broadcasters and sports writers statewide. The top three in both polls feature Bridgeport, Fairmont Senior and Bluefield. In the MetroNews poll, the Polar Bears are at the top followed by the Beavers and then the Indians. In the WVSSAC poll, which is a computer-based power poll, it’s Bluefield that is the top team in Class AA. Fairmont Senior falls to No. 2 and BHS remains in the third position, but is tied with Nicholas County. All of the teams, except Bluefield, are currently 3-0. Bluefield, which was off last week, is 2-0. The WVSSAC poll is the poll that matters as far as the postseason. The top 16 teams in each classification makes the field. The MetroNews poll, which draws plenty of attention, serves as the poll on how teams are perceived statewide. Currently, several other local teams are in the mix. Grafton at 2-0 is listed at No. 7, while Robert C. Byrd’s 2-1 mark has them in at No. 15. Liberty is tied for the No. 16 spot with Mingo Central as both teams are also 2-1. Just outside the playoff field is Elkins at No. 18, Keyser at No. 20 and North Marion at No. 21. All three teams are future Bridgeport opponents. Things will change next week. The Indians and the Polar Bears square off Thursday at East-West Stadium in a battle of Class AA unbeatens. Click HERE to see the entire Class AA standings for every team in the state. The rankings for Class AAA and Class A are also listed. Editor's Note: D'Andre Holloway breaks loose in last week's game with Grafton. Photo by Ben Queen of www.benqueenphotography.com.